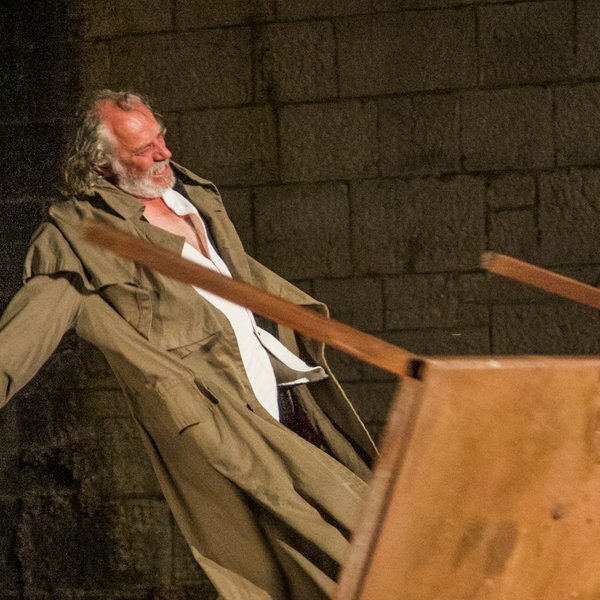 Of all of Shakespeare’s dramas, King Lear needs to be ushered into the landscape more than any other, and, as Kott observed, even the most daring set design is an arbitrary and inadequate decoration. 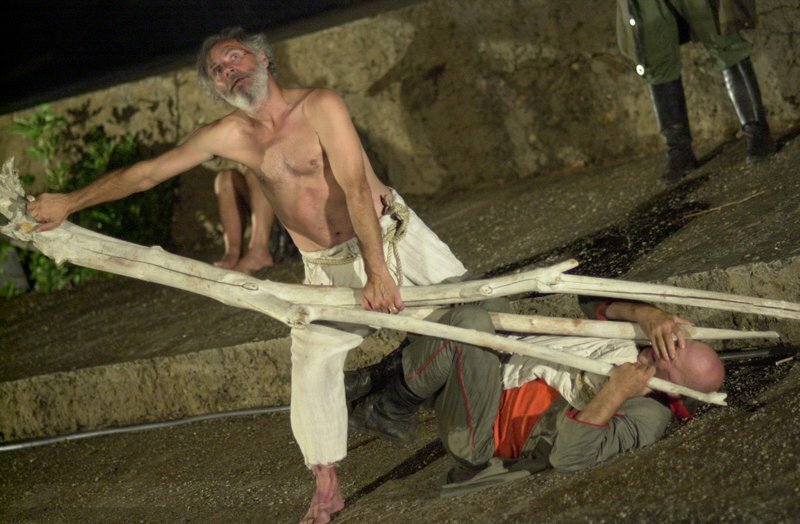 King Lear’s introduction into the landscape and choice of time-frame constantly raise the question: When and where? 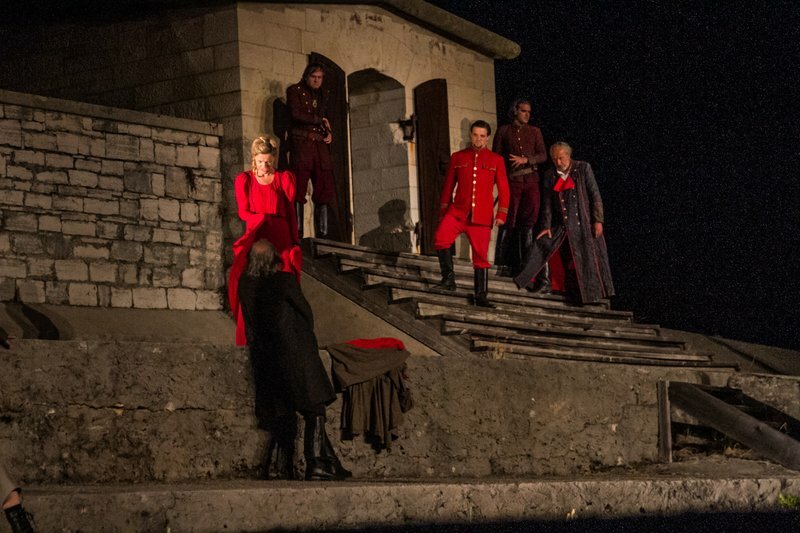 The idea to stage King Lear on Mali Brijun – an island, a fortress, a former Austro-Hungarian fortification hailing from the conclusion of World War I and the dissolution of the Hapsburg Empire –is the theatre’s response to this question of when and where. It was a time when a new map of Europe was being drawn up. The stuff of dreams or of folly? What is folly to power-brokers and what is their relation to folly? 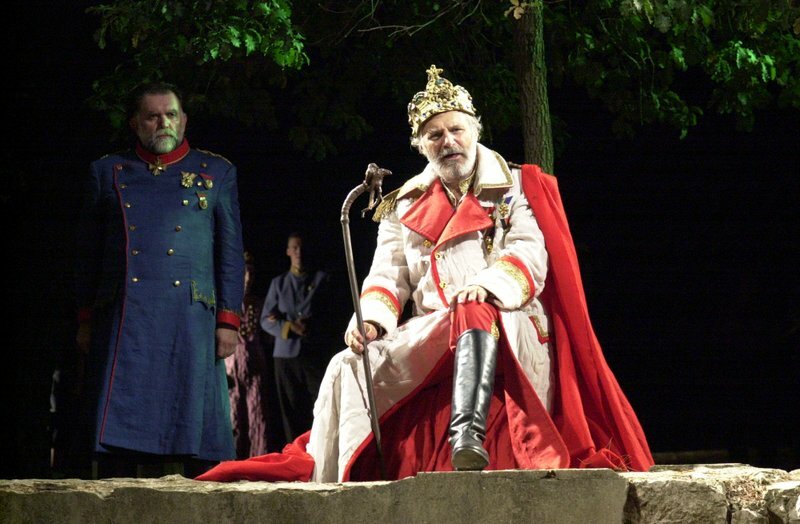 this production of King Lear asks. 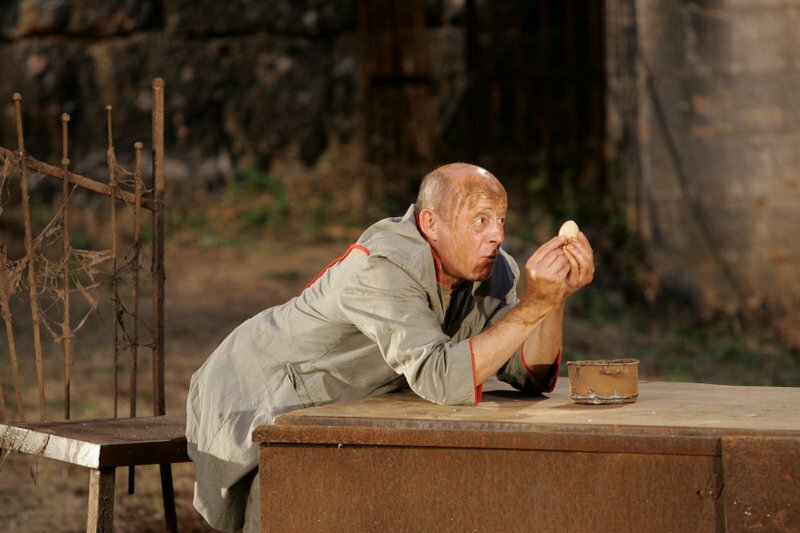 Folly as a profession (The Fool), a choice (Lear), a result of suffering (Kent, Edgar), as a shield for exiles and outlaws, a search for shelter, a refuge from the mundane, pragmatic folly of the greedy and the scheming. Foreboding and malevolence, the age-old companions of every throne, carry misfortune and bad blood, while righteousness miraculously regenerates itself in the process. Sooner or later, all folly is transformed into horrific insanity. Whatever its form, it no longer distinguishes between hatred and compassion. How does it feel to run for shelter and glance back at the devastation in your wake? Who will ascend the throne after Lear? And what is a throne? 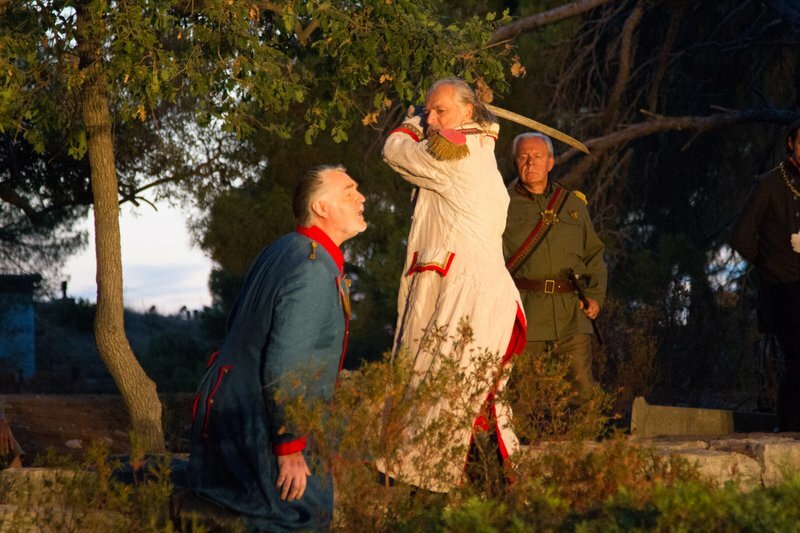 What is a European throne after 1918, the time frame of this theatre production? 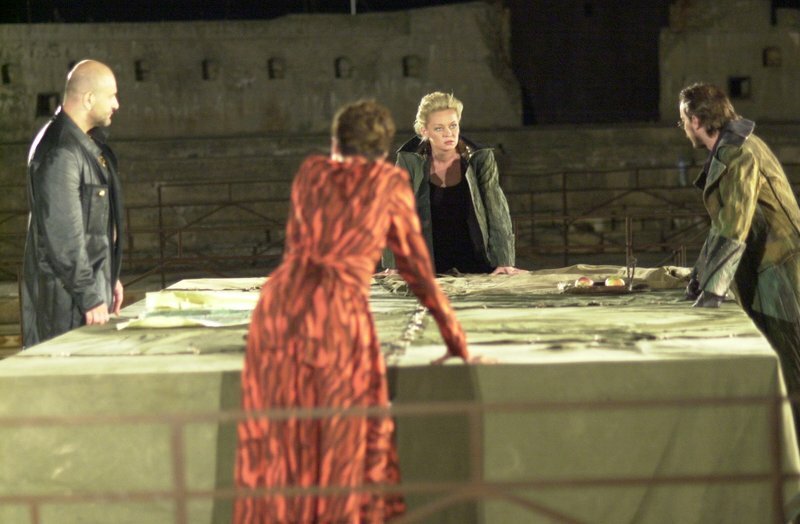 All these questions are raised in this production of King Lear in this historic setting which reflects Europe’s turbulent past. 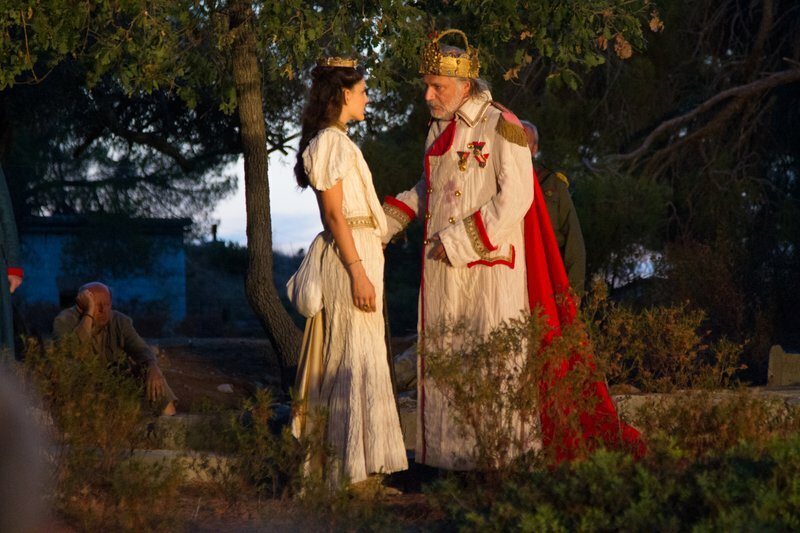 This production requires a first-rate performance, a labour of love from those involved, far from routine theatricals in an exotic environment. Beauty carries responsibility.